For the past couple months I’ve been working with the extremely talented team over at Vertical Measures, and I have to say that getting readjusted to actually going into an office wasn’t nearly as bad as I thought it would be. Working from home for years was great, but it was definitely time for a change. 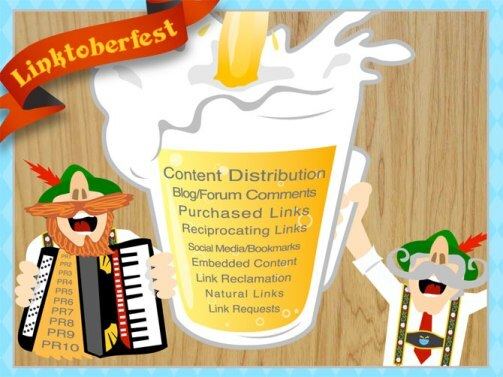 Anyway, we recently came up with an infographic, or “linkfographic” to be more precise, that illustrates the variety of links required for an effective link building campaign. The key to keeping your link profile looking natural and link building efforts under the radar is diversification, and our hope is that we’ve now created an easy way to visualize this important rule. Check out our SEO infographic for link data visualization to learn more about link types, how to obtain them, and how we score each on both quality as well as difficulty. And, as always, if you have any questions or comments please feel free to leave them below! I like your style, the particular inescapable fact that your webpage is a little bit different tends to make it so useful, I get tired of discovering same-old-same-old almost all of the time. Thank you! It’s a great graphic. Love the beer analogy. And I’m in the same boat as you, getting used to going in to an office after a more “fluid” work setting.